Oprah Winfrey is arguably a TV genius at creating hype around moments that bring her viewers to tears, laughter and, let's face it, close to hysteria. But apparently that gift doesn't run in the family. 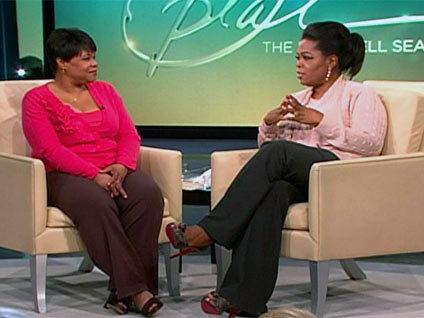 According to Oprah, her long-lost, half-sister Patricia "never once thought to go to the press" with their family secret. "She never once thought to sell this story," Oprah said. Instead, Patricia left that job to her big sister and Oprah's TV tailoring of their family secret is definitely benefiting the media giant. What's unclear is whether Patricia will reap any monetary benefits for her much-lauded silence.